Run Geordie Run t-shirts have raised almost £30,000 over the years for local charities such as St Benedict's Hospice, The Children's Foundation and The Sir Bobby Robson Foundation. We are currently working on a new design to be produced in the next few months. When I say "we" I'm very excited to say that I mean the children that attend the skills workshops ran by Useful Vision. The children's design will be running related and will be printed on technical fabric t-shirt which is perfect for wearing in the gym or on a run. The production costs of the t-shirts will be paid for by my main sponsor SOS Group and ALL PROCEEDS from the sale of the t-shirts will go directly back to Useful Vision. That approach has been taken on every t-shirt made in the past which is the main reason why almost £30,000 has been raised from t-shirt sales. I absolutely love the idea of using the children's design together with the generosity of SOS Group to produce something that directly benefits Useful Vision. I'll be buying a couple of t-shirts myself and will be very proud to wear one whenever I'm training for the next leg go the run around the world. I'll update the blog, Facebook and Twitter with details of when the t-shirts are available for pre order. In the meantime, thanks in advance go to Useful Vision and the children that attend their skills workshops for the effort they'll be putting into this project. There are 380 days left before the run Around The World resumes with the fifth of eight segments due to start in May 2018. Work has continued this week on getting the route established for the 2,900 mile segment from Belgrade, Serbia through Romania, Ukraine, Russia and Kazakhstan. I've nicknamed this segment "The Road to Astana". This blog post talks about the third and final section from Samara to Astana which is a distance of approximately 1100 miles. Samara is a former closed city that became a centre of the rocket building industry after WWII apparently. My initial calculations suggest that it will take 61 days to reach Samara from Belgrade. 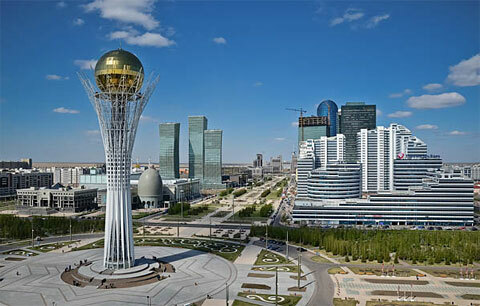 This means that I'll have 39 days left to run the final 1100 miles to the finish line in Astana. I remember taking 37 days to run 874 miles from John O'Groats to Lands End. This just acts as a reminder how ridiculous the required daily mileage has become since then. The city of Sterlitamak (pictured below) lies on mile 2000 of my route from Belgrade to Astana. My initial plan has me taking 71 days to get to this city. This is exactly in line with where I was during the run across the USA in 2011. Albeit I was 166 miles behind schedule then. Unlike the trans USA run however, this time I will be pulling a buggy with all of my kit and supplies inside. Once it is constructed and I have time to train and find my range with it then I'll have a much better idea of what my daily schedule needs to be and how many rest days I'll have in order to reach Astana within 100 days. Magnitogorsk is the last major centre of population in Russia before the border with Kazakhstan. That's mile 2168 on the Road to Astana. 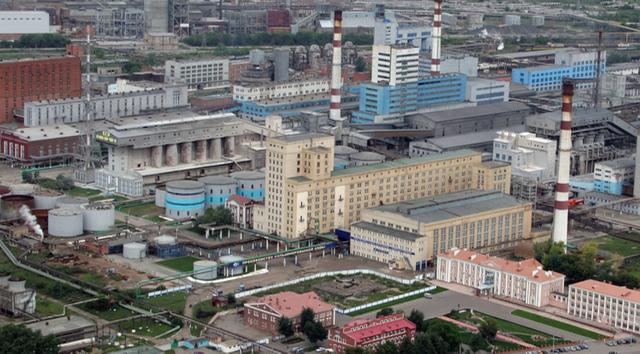 The largest iron and steel works in Russia are situated in the city. Like Samara, Magnitogorsk is a former closed city. 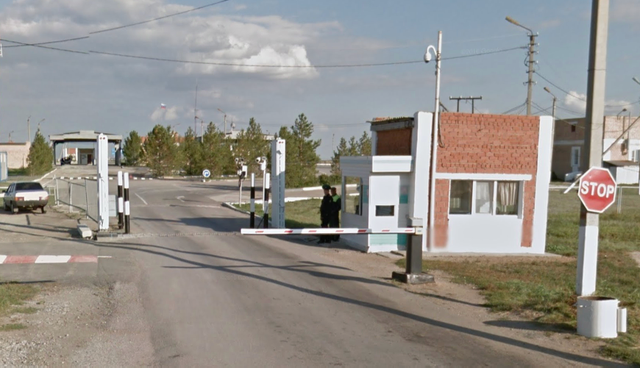 It is a further 155 miles to the Russian border with Kazakhstan near Varvarinka (pictured below). If all goes to plan then it will have taken me 83 days to get to this border from the start line having spent 2 days in Serbia, 8 days in Romania, 24 days in Ukraine and 48 days in Russia. 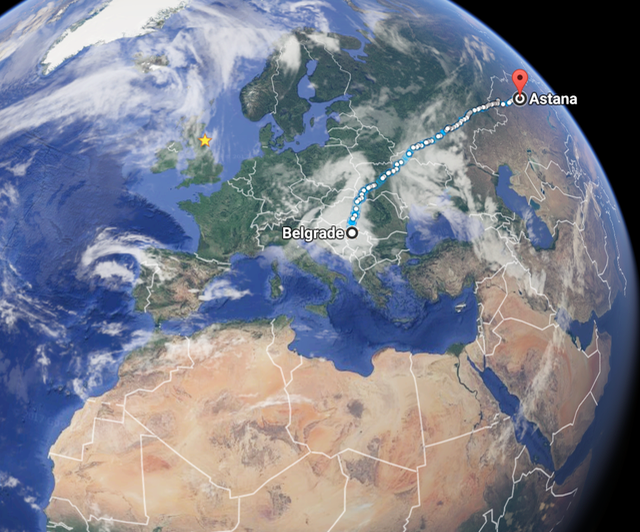 That will just leave 18 days and 541 miles left to run to the finish line in Astana, Kazakhstan. I wonder what tales I'll have to share from this border crossing. I suspect the last thing the border patrol officers will expect to see will be a very tired British man pulling a big red buggy. From looking at satellite images it looks like I'll be running through a lot of agricultural land in Kazakhstan. 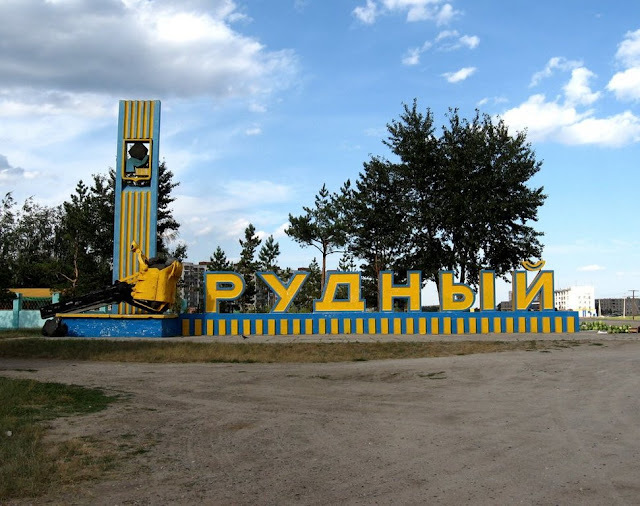 The city of Rudny, however, has the biggest iron ore extracting and processing plant in Kazakhstan and last year in was reported that it employed 19,000 people. 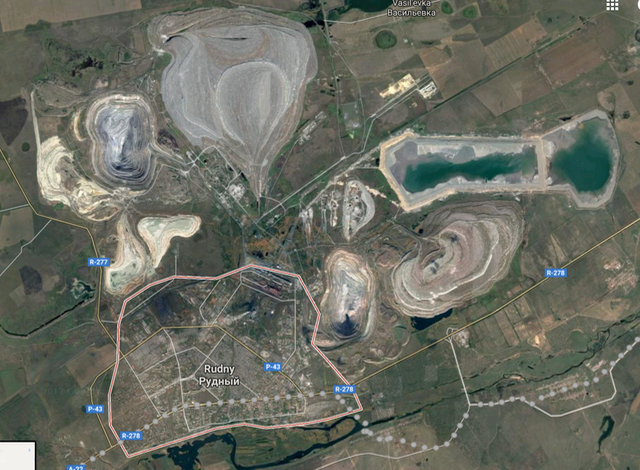 The satellite image below shows what looks like some huge mines to the north and north east of Rudney. They appear to be much bigger than the city itself. It will take a further 470 miles to reach Astana. 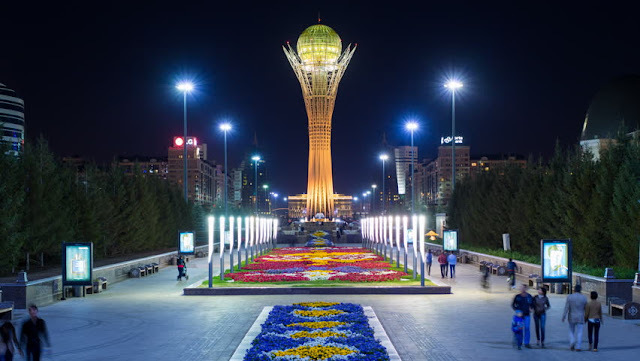 The actual finish line will be at the foot of the Bayterek Tower (pictured below) which is situated very close to the Presidential Palace. What a stunning finish line that will be. So there we have it. 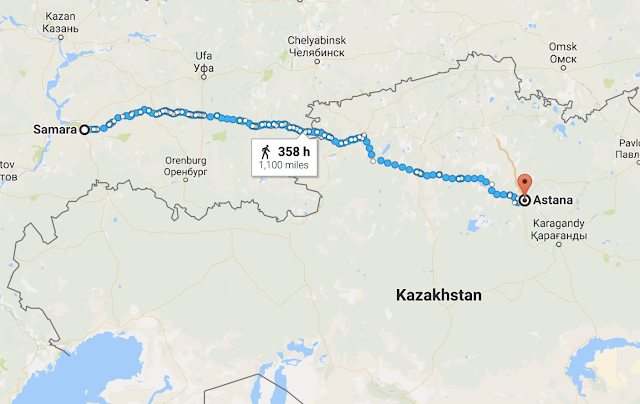 My initial plan is to run the 2835 miles from the Victor Statue in Belgrade, Serbia to the Bayterek Tower in Astana, Kazakhstan in 100 days during the Summer of 2018. I may be able to take nine rest days during that time if my anticipated daily range of 31 miles in the Around The World Buggy is accurate. I'll have a better idea of that over the coming months. It's going to be incredibly tough expedition. If I'm successful then I will have ran 11,826 miles around the world over 5 segments. I'll talk more about my fears and worries, the main challenges that I think lie ahead and also what I'm looking forward to the most in a future blog post. In the meantime, I'll continue to work as hard as I possibly can to make segment five of the run around the world, The Road to Astana, another huge success. As I mentioned on the blog last week, it wouldn't currently be appropriate for me to seek charitable donations from the general public in respect of the next segment of the Run Around The World. Until a charity knows what running from Serbia to Kazakhstan entails and all of the risks associated with it then I'm not in a position to fundraise for it. My Virgin Money Giving page has been closed and I'd like to take this opportunity to thank everyone who has sponsored me around the world so far. At the time of writing the amount raised for local good charities stands at £270,103.55. Thank you! To see a full breakdown have scroll down on this blog and all of the details are on the right hand side. Donna and I are still on course to complete all of our research, planning, visa applications, kit acquisition, buggy testing and the process of contacting all of the relevant UK overseas authorities by Spring 2018. I'm very happy with what I'm seeing and learning so far and hopefully that will continue for the next 10 months until we know as much as possible about the route, its risks and finalise our contingency plan. So with the Around The World fundraising "paused" that doesn't stop me from getting on with raising funds via the Running Blind and Team Run Geordie Run projects that I'm heavily involved with. The Running Blind team is Simon Kelly (middle below) who is registered blind and his two guides Jonathan Hornby (left) and Michael Dunn (right). Their fundraising has got off to a flying start for The Children's Foundation (currently £1276) and I wouldn't be surprised if they didn't smash their initial target of £2,500. I've been filming the team and will be producing a series of short films covering everything from their training right up to the Great North Run in September. The first "episode" will be ready on the 21st April. You can follow the Running Blind project on Facebook and Twitter. A donation can be made on their Virgin Money Giving page. 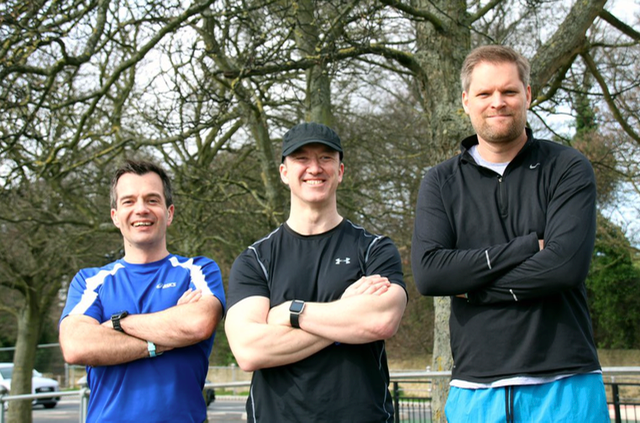 Doing equally well are Team Run Geordie Run, some of whom are shown below. So far there are 26 confirmed runners on the team and they will be raising funds for The Children's Foundation by completing the Great North Run this year. We have 2 children doing the mini Great North Run and there are another 11 people who are in the process of completing their application forms. It promises to be another record breaking year in terms of team size and amount raised. Some of the team have started fundraising already and they are odds on to beat the £10,000 raised for The Children's Foundation last year. A huge thank must go to my main sponsor SOS Group for paying for the team's running vests/t-shirts and also the rewards scheme which has started. March's reward, for example, was a donation to the runner's Virgin Money Giving page for simply sending in a photo of themselves in training. 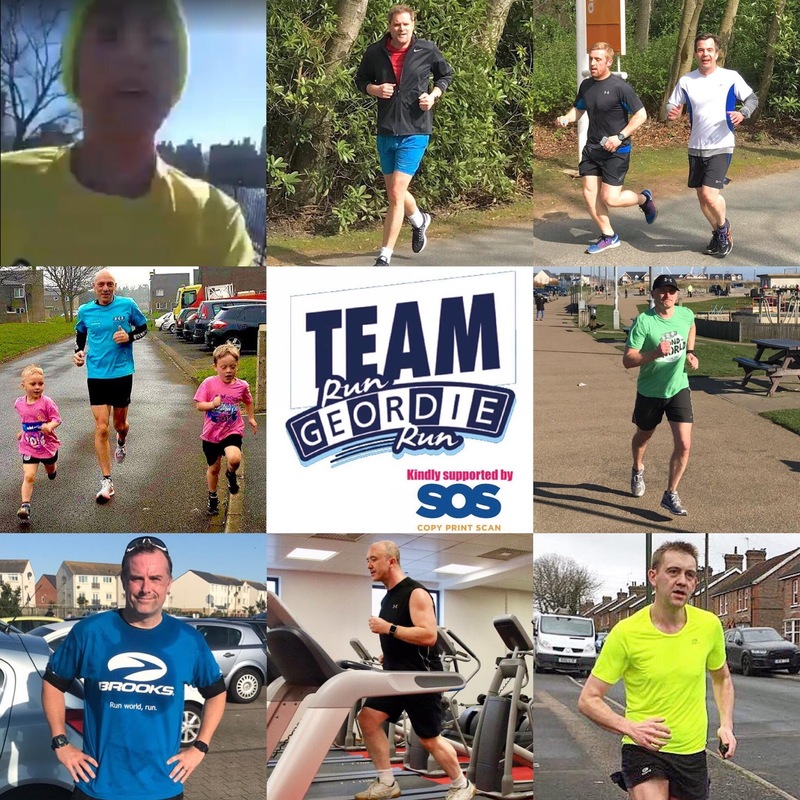 You can follow the team's journey on the Team Run Geordie Run Facebook page and donate at Virgin Money Giving. On top of the Running Blind, Team Run Geordie Run and the previously mentioned planning and research to be done, I have plenty of capacity for individual fundraising in various events this year. There'll be more news on this soon and some of it will involve the Around The World Buggy that is currently under construction. I have decided to find a different charity for my personal fundraising during the rest of 2017. The particular charity became known to me when they recently submitted an application for funds to The Children's Foundation's regional small grants panel that I'm part of. 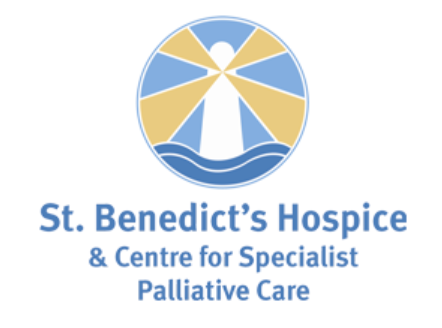 They are a small charity but it is easy to tell by looking at their website, social media feeds and recent annual reports that they carry out some amazing work with lots of children in the region. 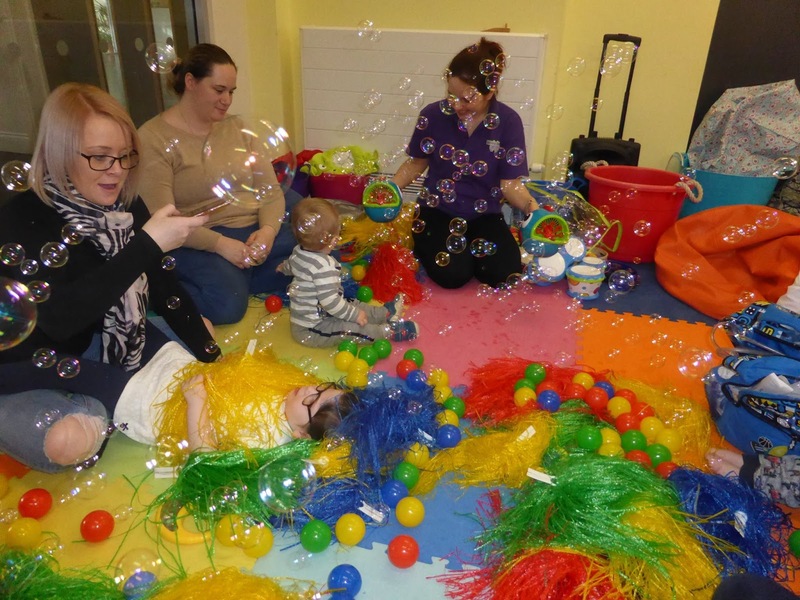 The charity is called Useful Vision and they provide "positive opportunities and fun-packed events for vision impaired children and their families across the North East.". 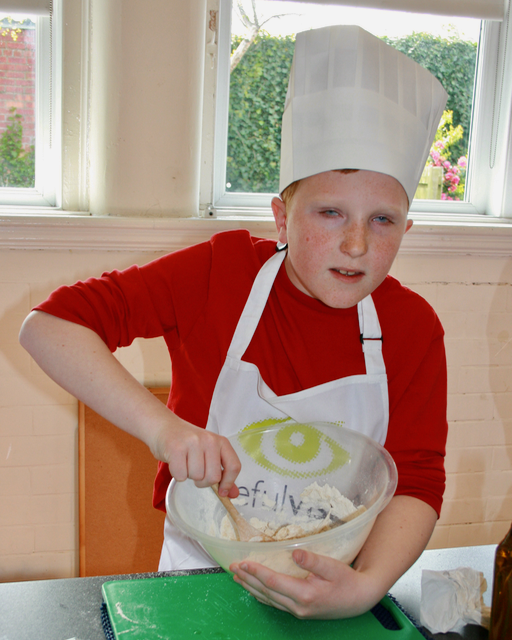 Rebecca Wilson, trustee and founder, states on their website "Our late son, Ben Wilson, was the inspiration behind Useful Vision when he went blind at the age of 5. Like many parents we had a lot of questions, very little support and found it difficult to locate activities that would stimulate and entertain Ben. By establishing Useful Vision we want to make access to these things easier for other families of blind and partially sighted children and their siblings across the North East. Today we’re helping hundreds of families across Northumberland, Tyne and Wear and Teesside. 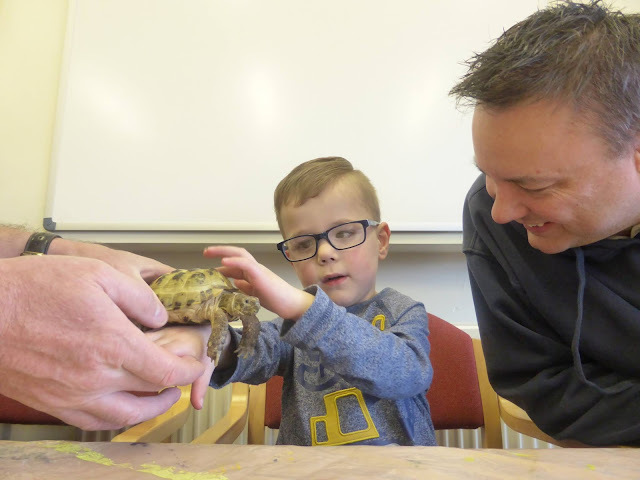 We’re here for support, to help answer your questions advice and, most important of all, to give vision impaired children the very best days out, ever!" Coincidentally, I found out this week that the family of a colleague of mine, benefit from the services that the charity offer. He said "My three year old daughter Mabel was born with a serious eye condition and as a result of this is blind. 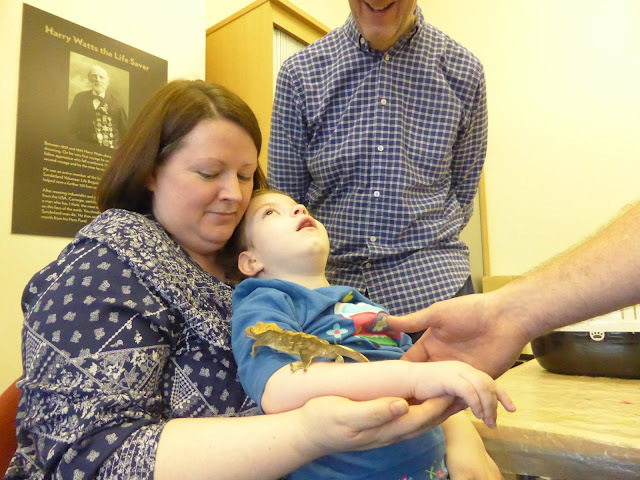 Soon after Mabel’s diagnosis, we were put in touch with a small local independent charity called Useful Vision. 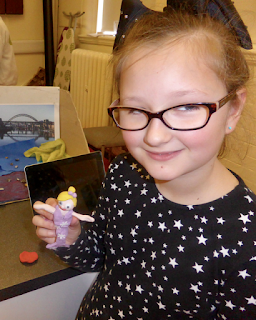 Useful Vision exist to support blind and partially sighted children and their families in the North East and they have been a vital resource for us during some uncertain times. 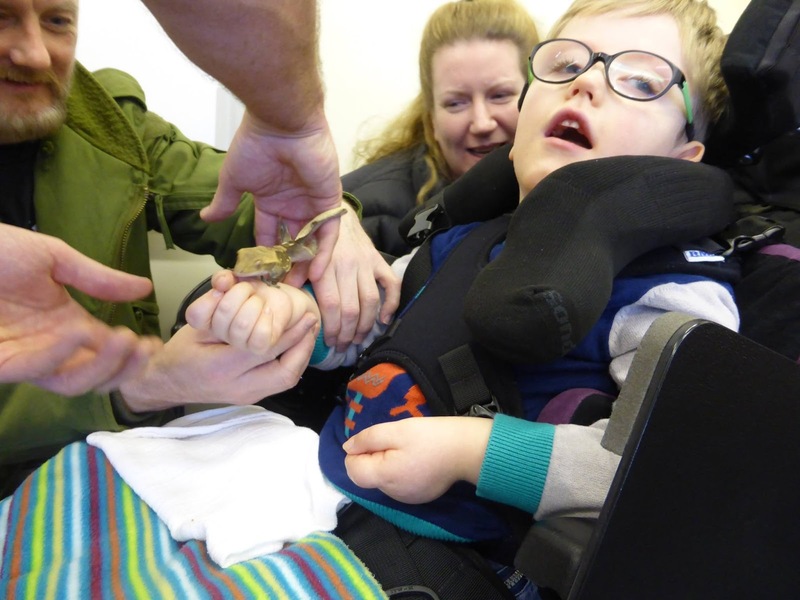 They not only deal with the emotional and practical issues associated with visual impairment, they also organise some amazing events that engage and educate the children on the world around them.". As with all of the other charities I've raised funds for, to say that I'm inspired by the amazing work that Useful Vision carry out, is an absolute understatement. Being able to raise funds for such a worthwhile cause is a total honour and privilege. I'm looking forward to raising as much money as possible for Useful Vision during the rest of 2017. The charity's website is www.usefulvision.org.uk and their Facebook page is here should you wish to learn more about the work that Useful Vision does in the region. So to my fundraising plans for 2017. Firstly, at the time of writing, there are 8 full months left in 2017. I am currently training to run segment 5 of the Run Around The World in 2018. I'll be doing this unsupported and pulling a buggy 2900 miles from Belgrade, Serbia to Astana, Kazakhstan. For once, I hope to be at the correct weight and condition going into a major event. I've never managed it before. For example, 18.5 stone and 28% body fat going in to the run across the USA. I got away with it and ended up at 13 stone and 5% body fat by the time I reached New York. It's more than fair to say that I always do well in the major events around the world. That's mainly because there is so much money for charity at stake. Raising money for good causes is huge, huge personal motivation for me. In fact it's everything. So it's time to recreate those financial stakes while I'm training. Personal trainer, David Fairlamb, is setting 8 monthly targets for me to hit in training. For each target that is hit a £1000 donation will be made to Useful Vison from one of my sponsors SOS Group Ltd, Fresh Freight Group or D-Line. 1) Lose 10 pounds (4.5 kg) of fat weight by 12/05/2017. It's going to be incredibly difficult to hit each target. Rest assured, just like the first 9000 miles around the world, I'll be giving maximum effort to ensure that I don't let the charity down. Alongside David Fairlamb's monthly targets, my first major running event in 2017 will be 110 miles from the Virgin Money Lounge in Edinburgh to Virgin Money in Gosforth. I will be doing this over 3 days in June while pulling the Around The World buggy. I will also be sleeping and cooking in it for the first time! So there we go. It's going to continue to be a very busy year. There is a huge amount of work to do and I also need to up my training in preparation for 2018's journey from Belgrade to Astana. My Around The World fundraising may have taken a break but that certainly hasn't stopped me from doing what I've been doing for the last 24 years: Raising funds for local good causes and hopefully inspiring others to do the same. So plenty of challenges to tackle in 2017 for an amazing local charity carrying out important work and ultimately improving the lives of vision impaired children and their families. I'm so up for this challenge and I'd appreciate any donation to Useful Vision no matter how large or small on my brand new Virgin Money Giving page here - www.virginmoneygiving.com/rungeordierun. Thanks in advance and watch this space as well as my Facebook and Twitter pages for updates.